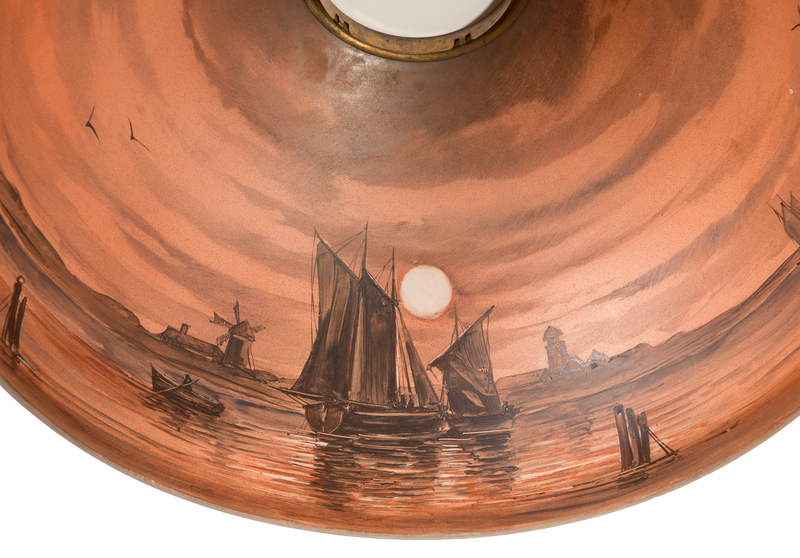 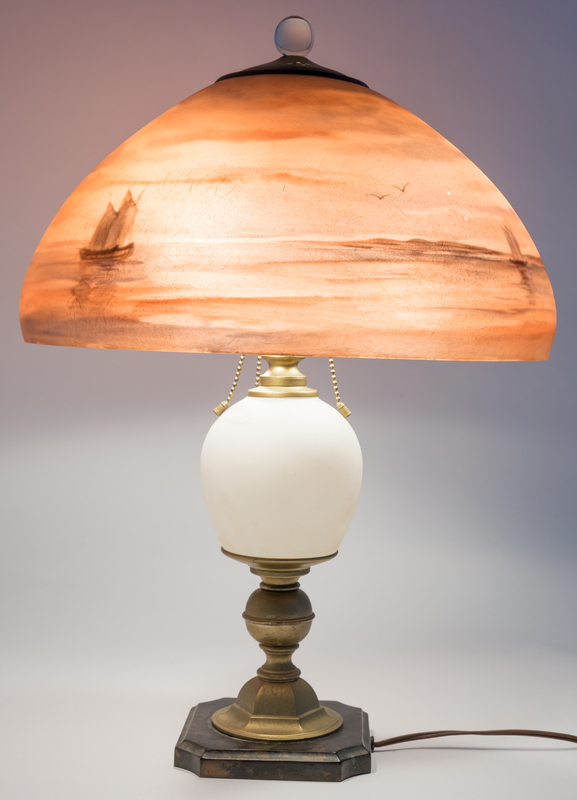 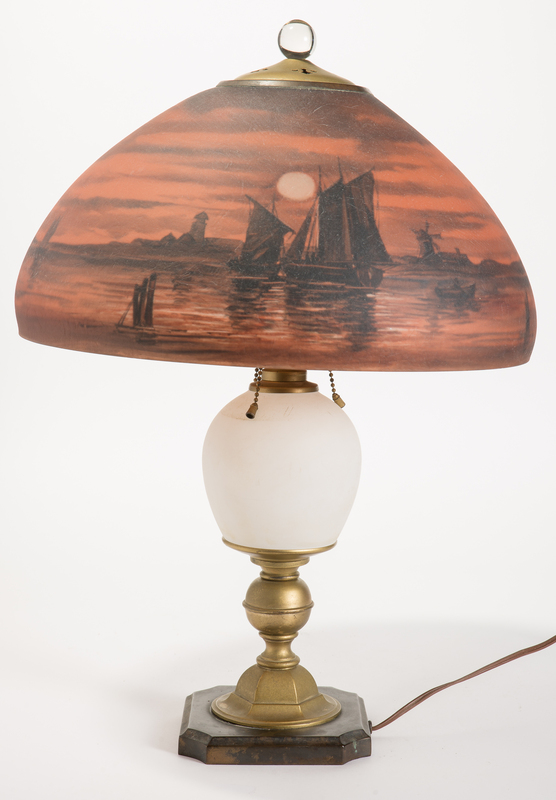 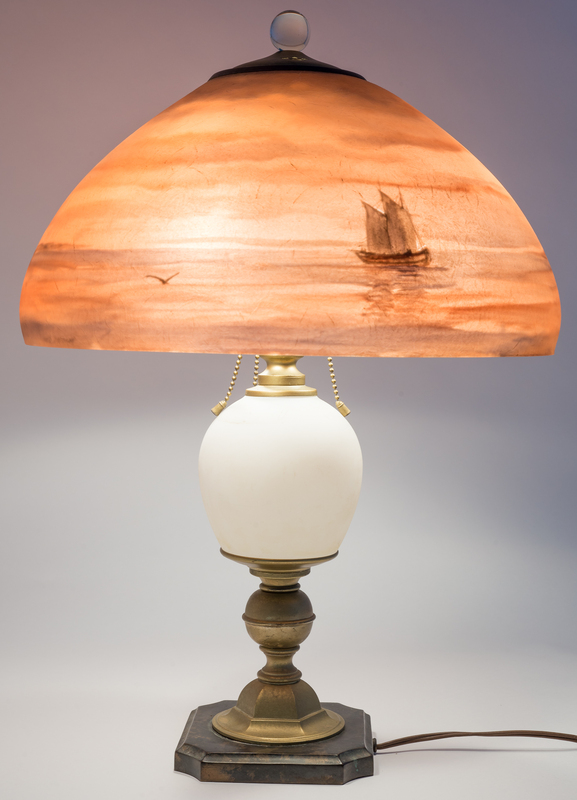 This is a lovely Handel lamp that shows a moonlit harbor with ships and a windmill in the background. 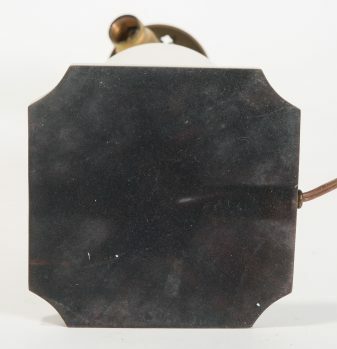 The base appears to be a hybrid with some original Handel hardware. The shade has a couple of minor bites out of it along the lower rim. 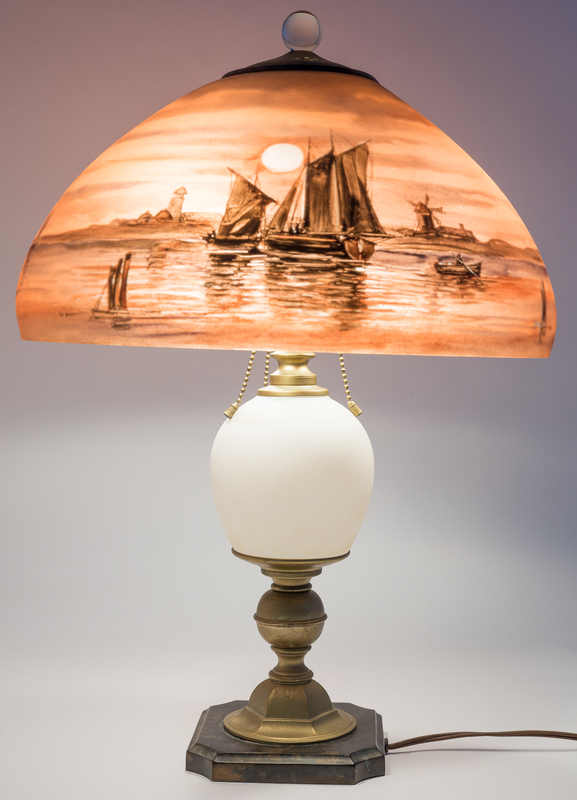 Shade is signed in felt tip pen, metal ring is also marked. 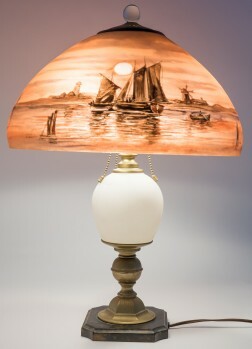 21" tall, 15" shade diameter.